The Cost: $29.99 monthly + free US shipping. Save with 3 and 6-month subscriptions. Also good to know: This box promises excitement and scandal, so future items may be NSFW, which means future reviews may be, too! The Filthy Mermaid offers fancy pink-and-black inner packaging, plus a card detailing the enclosed items. This month’s theme is “Mermaid’s Trick or Treat,” which sounds like my new life motto, so let’s check things out! The card lists this item as a “teaser-tat,” which I think is an adorable phrase – and it’s true! This li’l piece is a smaller version of the big tattoos sold by this company and is a great way to test out what a similar, more permanent tattoo would look like on your skin (or even more temporary ones, if that’s your thing). My permanent tattoos are black, so this is an interesting option to see what colored ink would look like on my skin. I thought this was a really pretty interpretation of mermaid scales, and I was happy I got the cheerful pink version – there were a few other colors I could’ve received! I also really appreciated the tatt-application directions on the back – they were really well designed visually and crystal-clear. Since the fake tattoo was this month’s trick, the treat requirement falls to this body butter! I love that this formula from SD Mermaid Beauty is all-natural, and I found out that interestingly, it contains something called gemstone elixir, which is made by one of the company’s co-founders, a specialist in the properties and energies of stones. My butter, the lavender-vanilla version, seems the closest to their “Sleep” formula, containing the two named ingredients as well as hematite as one of its gemstone elixirs. I can smell the lavender, but it’s a bit on the medicinal side, and sadly, I don’t smell the vanilla at all. It is softening though, so I might use it on my cuticles as the weather starts to make my skin drier. And now we’ve come to The Filthy Mermaid “house” item if you will – this absolutely fin-tastic hoodie (I’m not even sorry about that pun, either)! I am obsessed with this design, and I even got a matching sticker! I was actually quite worried that this box included a hoodie as the sized item. I’m a bit of a hoodie-snob, dear readers, and I’m super-picky about fit when it comes to sweatshirts, but all of my fears instantly disappeared once this slipped over my head. The XL size I chose for my subscription is a perfect fit! The sleeves are nice and long, which is a personal preference of mine, and it’s oh-so-slightly cropped on the bottom. Cropping a hoodie could go very, very wrong, but it’s not too short to negate the point of having a hoodie on in the first place, it rather offers a more trendy fit with the shorter, rolled hem. I like that there’s no tight band at the bottom like some hoodies have! The inside of this is buttery-soft and warm; I imagine some of the “fluffiness” inside will disappear with a few washings but it seems like it will still be a warm layer, especially with another shirt underneath. This baby is just begging for a vintage-washed tee, some distressed black jeans, and my favorite quilted combat boots! Verdict: This first The Filthy Mermaid box knocked my scales off! I am 100% into that mermaid life, and it didn’t hurt that the first box was Halloween-themed: it’s my absolute favorite holiday. The theme was really clever when you think about it; there was a trick, there was a treat, and let’s be honest – I kind of want to be buried in that All-Hallows mermaid hoodie! The listed value of the hoodie alone was higher than the price of the box, so a $29.99 price point to receive a $42.45 listed worth of items feels like a good value to me. The only thing that struck me as odd is that the valuation of the hoodie was so much higher than the other two items. It made the valuation feel a little lopsided, though I suppose that’s not necessarily a bad thing. The hoodie is by far my favorite item, after all! I am curious, however, to see if future boxes will contain items more similar to each other in value. As for the items themselves, I really think that this box will offer a high variety of item types, and I love that they’ve taken the not-so-sweet, edgier path, design-wise. Who says mermaids can’t have some teeth? Can you still get this box if you sign up today? Sadly, no! Sign up by midnight on the last day of the month to get the next month’s box. According to their website, the boxes usually ship around the 4th-6th of every month. Value Breakdown: This box costs $29.99 + free shipping, which means that each of the 3 items in the box has an average cost of $10. 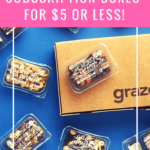 Check out all of our lifestyle subscription box reviews! Tell me: has The Filthy Mermaid awakened your inner merbabe? How do subscribers rate The Filthy Mermaid? Do you subscribe to The Filthy Mermaid? Add your rating now! November is their last box. I’m really tempted by this one, partly to give them my business as a THANK YOU ZOMG for going up to size 4x! It’s so hard to have to gift all my 3x Pusheen shirts. Ooooh, intriguing. Any chance MSA can turn up a discount code? I need another sub like I need a… but this one is awesome! Lol.